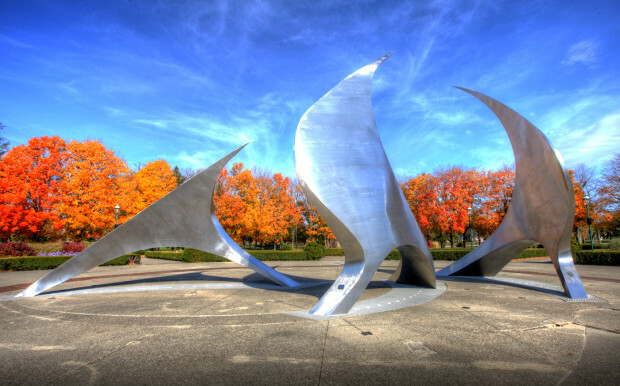 NavStar's billowing sail forms suggest sails filled with air. 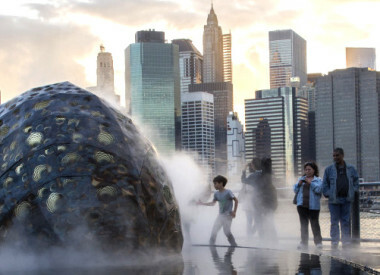 Dimensions: H 40' x Diameter 80' Media: Stainless steel with a carbon steel infrastructure, limestone, stained concrete. 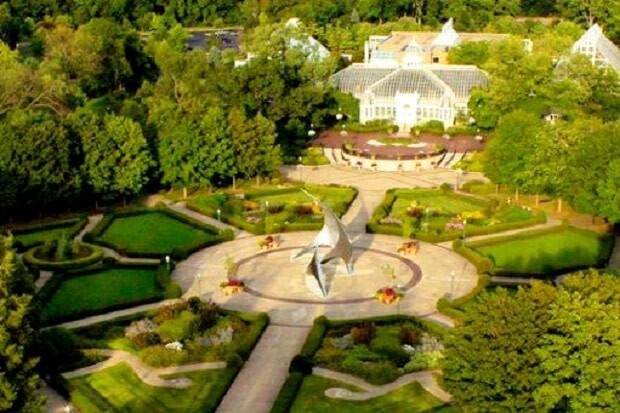 NavStar was commissioned by AmeriFlora for the 1992 International Floral Exposition. 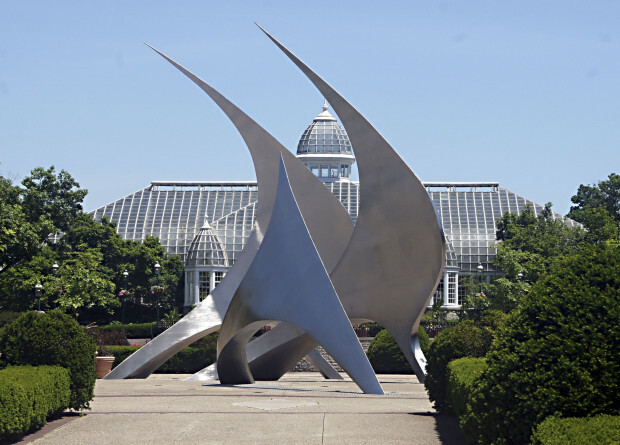 The sculpture’s classic image was drawn from the triangular form of the sexton. Redefined, these forms become sleek, billowing, sail shapes appearing as ships on the horizon. 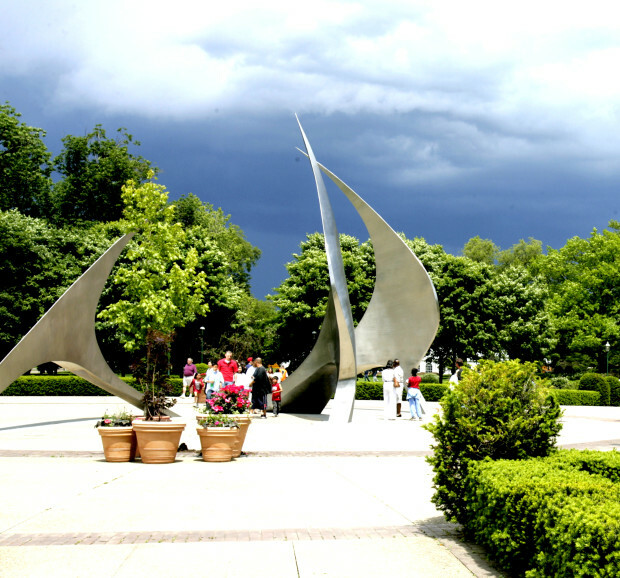 The eastern most sail points to the North Star and arcs upward at a 40-degree angle, equaling the latitude of its site in Columbus, Ohio. The multi-level collaboration began working with the AmeriFlora production team which included: master planners, development and funders, legal, PR and marketing. 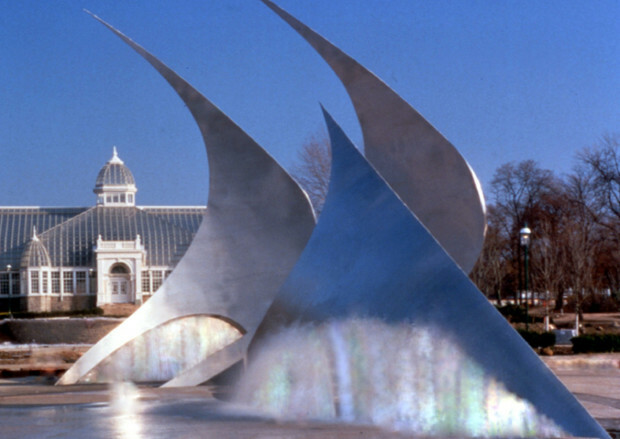 Site development included project managers, landscape architects, structural, lighting and fountain engineers. Canneto Studio's team consisted of artists, structural engineers, fabrication and erection, IT, documentarians, lighting, legal, marketing and preservation consultants. The sculpture's fountains and internal lights have removed as a result of the soil conditions below the plaza leading to the buried equipment vault's structural failure.